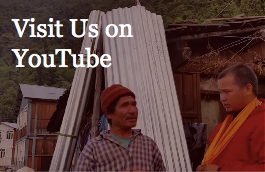 Additionally, CGLF’s secular affiliate Basic Goodness Foundation provides education support for Nepali youth. The Fund currently supports over 60 monks distributed over two monasteries; Pal Do-Ngak Nyida Mindrol Norbuling Monastery located in Chapagaon, Lalitpur, on the outskirt of the Kathmandu Valley and Pal Kadgyu Shedrup Tashi Phunstsok Ling Monastery (Riwoche) in Boudhanath, Kathmandu. The sangha provides the solid foundation needed for the preservation and propagation of the Buddhadharma. As our Lord Buddha taught, without the sangha the Buddhadharma cannot survive. As Phakchok Rinpoche says, “A monastery without monks is just an empty building.” Our mission through the Monastic Education Fund is to provide a suitable environment for the sangha to flourish, and in that way become authentic Dharma teachers and practitioners upholding the Buddhadharma. A single Dharma teacher benefits thousands through his teaching, and therefore the merit in supporting and nurturing our Dharma-teachers-to-be is immense. And by preserving the lineage of the Buddha’s teaching, one is not only helping the beings in this current time, but also in the future generations to come. A single person with a good heart benefits his surroundings and everyone he comes in contact with. His actions will inspire many, and thus give rise to the ripples of goodness which will spread throughout the world. 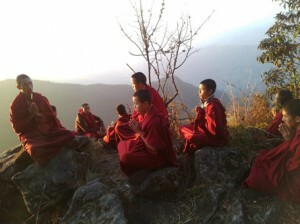 Supporting a monk for a year is equivalent to giving alms to 365 monks for a day. Every single day and during every single meal, the young monks dedicate the merit of their sponsors and supporters, thus multiplying your merit immeasurably. 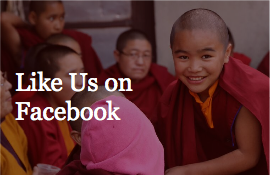 You can support a monk for all his expenses on a quarterly basis (US$200/quarter), or make an annual donation of US$800 to the Monastic Education Fund. If you would like to only sponsor food for a monk, you can donate US$40/month, US$120/quarter or US$480/year.